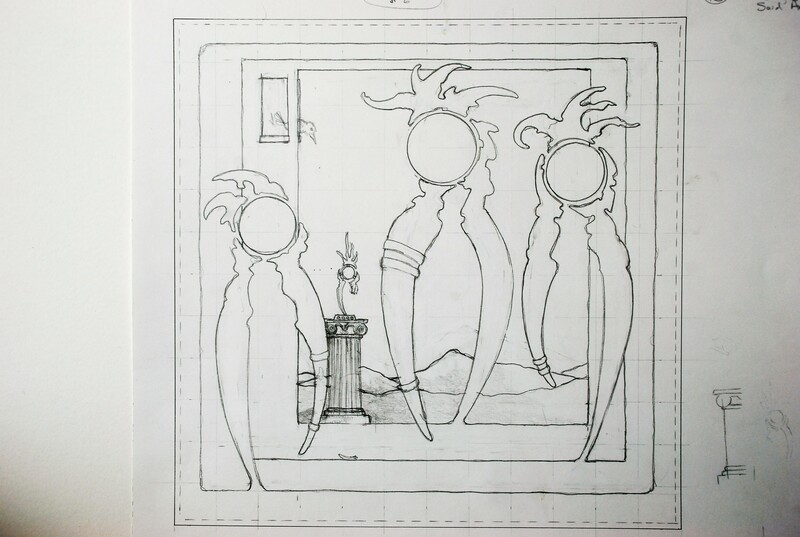 Posted is the 12” x 12” pencil Worksheet to be used for the ‘Sorry” painting. The ‘doodle’ that Karen picked, took many variations and rough drafts before I found a design that worked, while still maintaining the integrity of the original ‘doodle’. To be noted, this was the challenge of allowing others to select a ‘doodle’ from my sketchbooks and so far, from the friends that have selected, the development process has certainly been interesting. Ready for the transfer to canvas, color choices and additional modifications. Sorry for the late reply, thanks Claudia. I can’t wait to see what you do with this one. I like the little bird tucked up in the corner. Thanks Sherry, sorry for a late reply. Yes, I liked adding the bird. I think the window and little bird helped balance out the rest of the painting.